Your home is the place that heals you, soothes you and restores you with function, comfort and beauty. M Interiors collaborates with clients to create spaces that meet their needs, both functional and aesthetic, and that reflect their lifestyles and personalities. From traditional to contemporary styling and that hit of pizzazz. We’d love to talk to you about your project! Monica has always had a simmering passion for interior design, but it truly surfaced when she remodeled her own home. She missed the process when it was over, so she went back to school, and started M Interiors. The passion is still alive and the business is thriving! Marin's Interior Design Firm. As Seen on HGTV. 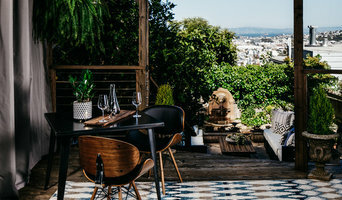 Best of Houzz 3x! Rachel Madden Interiors is best known for its fresh, sophisticated and approachable designs. Rachel works closely with her clients to understand their needs and tailors each project to their individual taste and lifestyle. With an eye for detail, Rachel combines textures, color and light to build a clean and richly layered aesthetic. She mixes classic elements with contemporary lines and natural materials to create distinctive spaces that are understated, yet elegant - fitting for today's modern family. 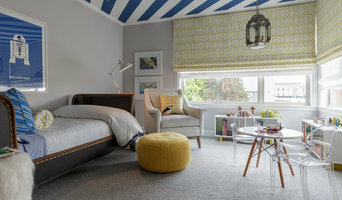 Rachel Madden Interiors in based in Marin County, CA - just north of San Francisco, and serves clientele all over the Bay Area.